Yon koudèy sou pi bèl foto kap domine aktyalite a nan lemond. 5 The wind blows a girl's dress as she looks upon the banks of the Dnipro River in Kyiv, Ukraine, Nov. 6, 2017. 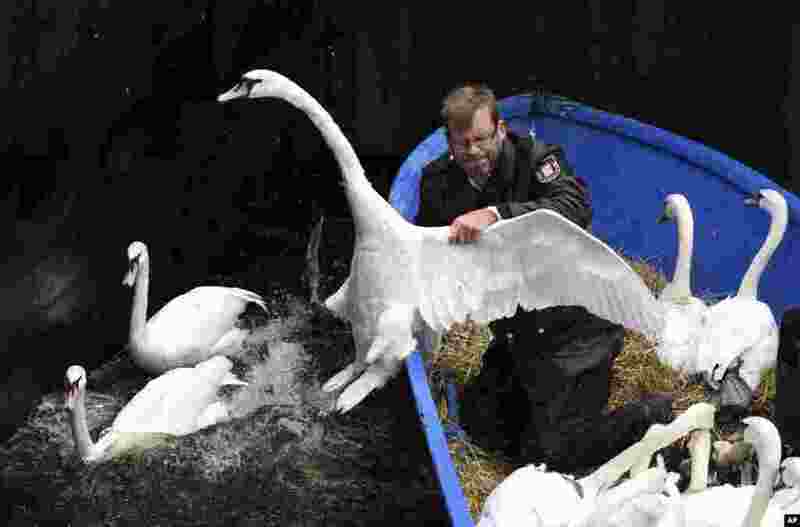 6 Olaf Niess catches a swan as he transports several of them to their winter enclosure on Alster River in Hamburg, Germany. 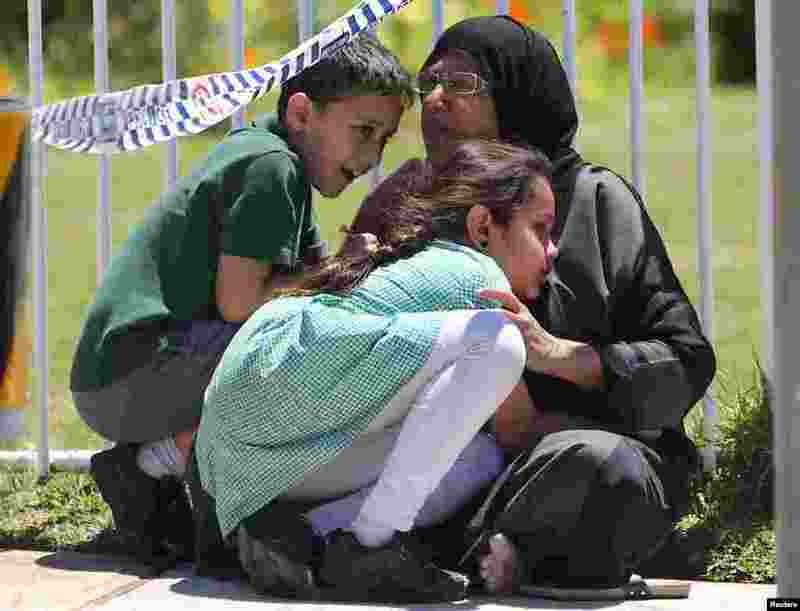 7 A woman hugs her children near where a vehicle crashed into a primary school classroom in the Sydney suburb of Greenacre in Australia. 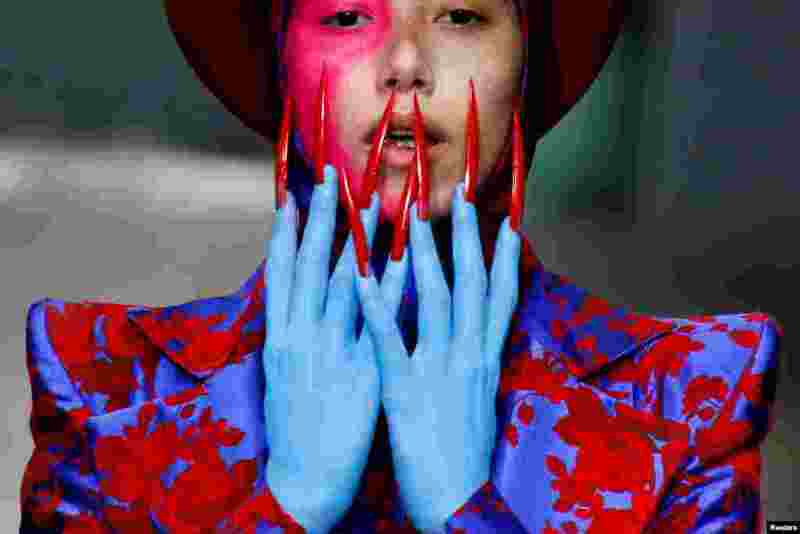 8 A model presents a creation by Hu Sheguang at China Fashion Week in Beijing.